Today, we’re looking at setting ring gap - a topic that might not exactly elevate your heart rate, but something that is absolutely critical to engine performance and longevity–and, one of our number-one tech questions. Our expert guiding us today is Wiseco’s Nickolaus DiBlasi. 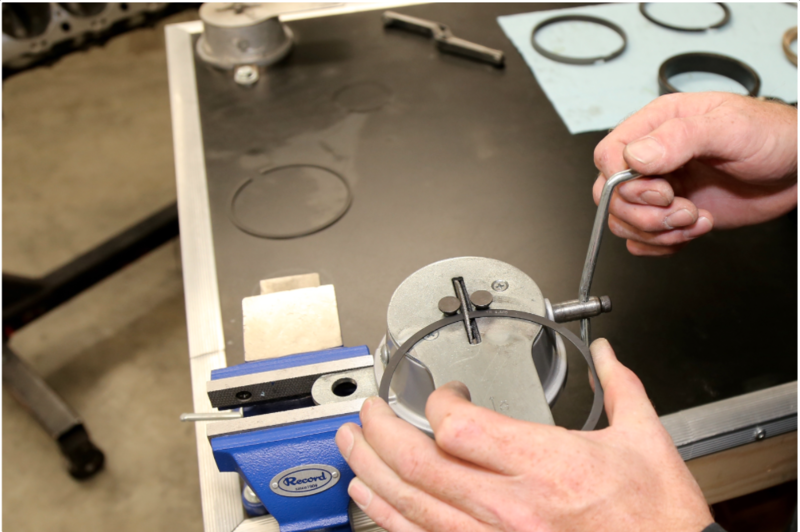 Setting the correct ring gap on aftermarket piston rings is crucial for proper performance and engine longevity. 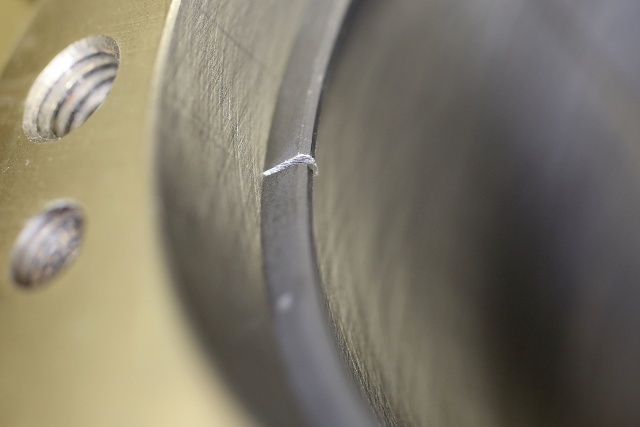 Because piston rings need to be expanded to fit over the diameter of the piston itself before they find their home in the ring grooves, they have to be split in some way in order to allow installation. At the same time, the gap between the ends of the ring needs to be kept as small as practical, for a number of reasons. “Let’s first look at the job of the top compression ring,” DiBlasi explains. “The main objectives for the top ring are to hold in compression and pass heat from the piston to the cylinder. From that point, energy is taken away from the cylinder using water in the water jackets. Due to this fact, the top ring sees the most amount of heat.” With that in mind, it’s clear that the smaller the gap, the less opportunity there is for combustion chamber pressure to make its way past the first ring, and the more contact the ring has with the cylinder wall in order to transfer heat. A perfectly gapped ring will have ring ends completely parallel to eachother when installed. 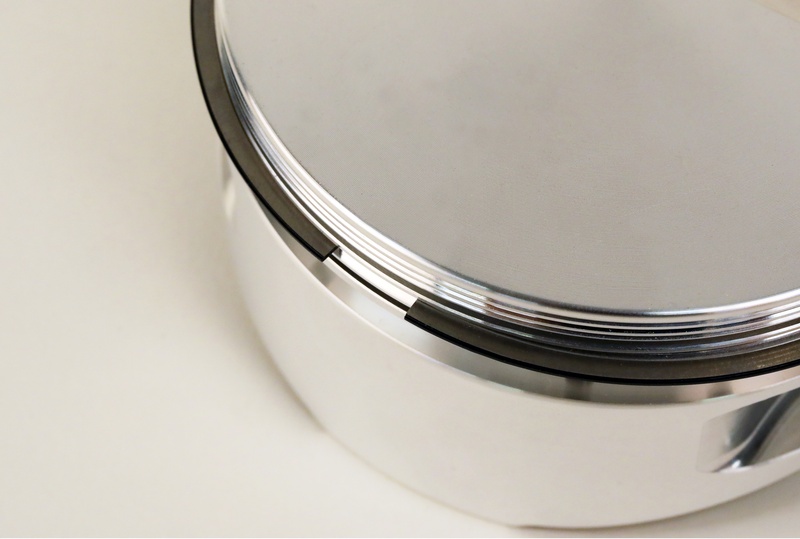 Rings have to be split in order to allow them to be installed on the piston. The key to proper ring gap is ensuring there is room for expansion as the rings heat up, without creating excessive clearance and unwanted blow-by. If that sounds bad, it is. Before you remove any material from the ring end, it’s important to check your starting clearance. The ring must be perfectly square in the bore to get an accurate measurement. The best way to prevent this kind of runaway destruction is, surprisingly enough, to pay attention to the information provided with your new Wiseco pistons and rings. 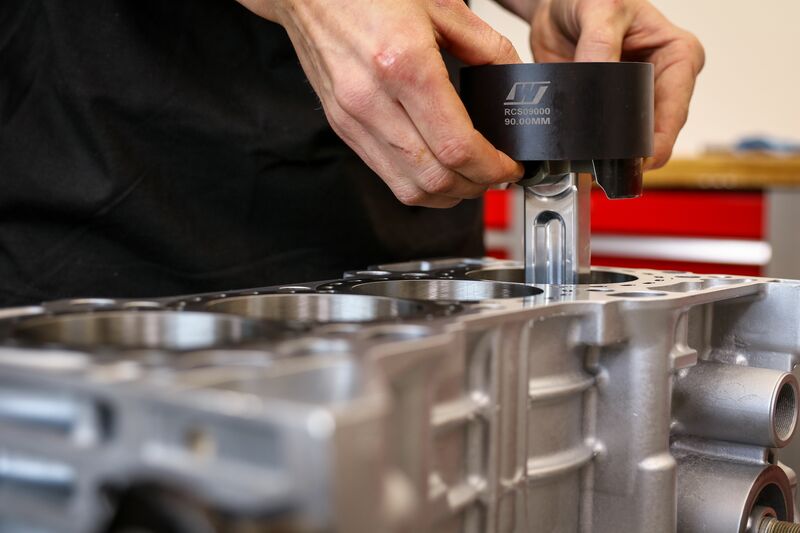 “We have outlined our recommendations that are included with pistons. These are also available in our catalogs and website,” DiBlasi adds. The process begins with inserting the ring into the bore, and making sure it is square using a squaring tool to align it properly. A feeler gauge inserted into the ring gap will show you the existing dimension, and from there you can make your adjustments. For a street engine, multiplying your bore size by 0.004in will give you the top ring gap you are looking for. 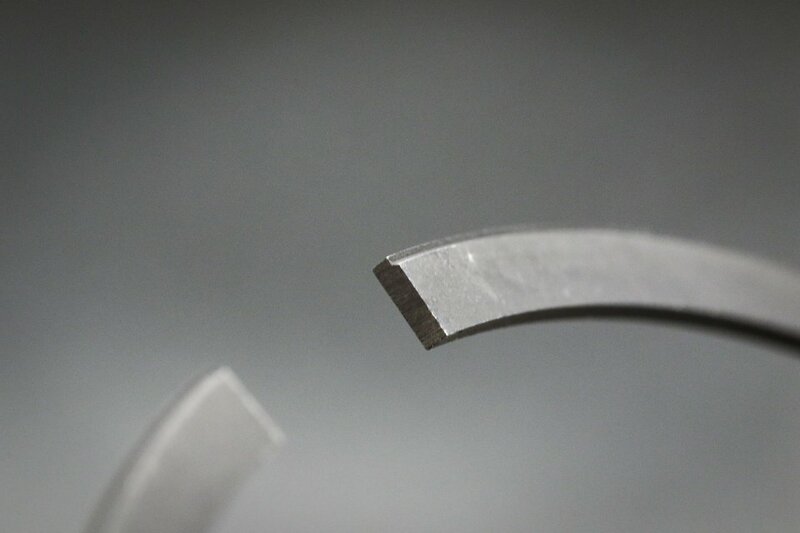 Setting ring gap can be a slow process, but by paying attention to how many turns on a manual filer it takes to remove a certain amount of material, you can get a feel for what each ring will need and get closer to the finished spec in fewer steps. Remember to only file one end of the ring, and take care to avoid damaging any coating the ring may have. 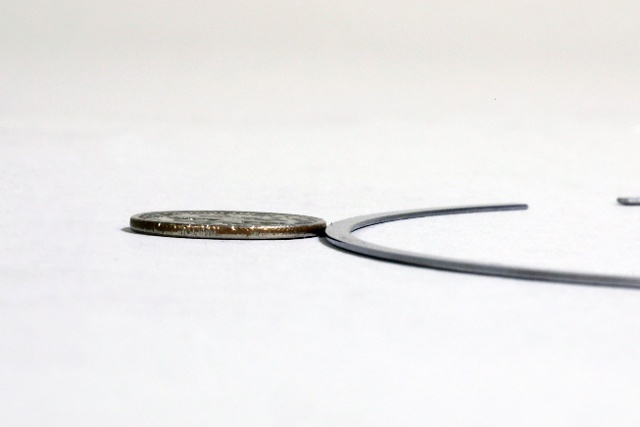 For more in-depth info on filing rings, check out this story! 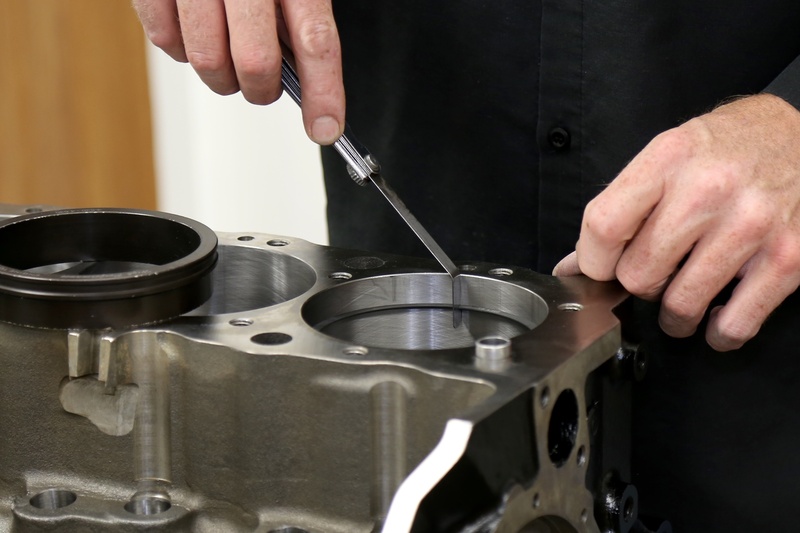 Using a tapered piston ring compressor sleeve in the correct bore size helps ensure the pistons are installed without damaging the rings. Most of the engines you’ll encounter utilize a ring package with a second compression ring below the first, to provide additional sealing and another path for heat to escape the piston into the cylinder bore, and from there into the coolant jacket and eventually the atmosphere. As shown above, the desired ring gap for the second ring is often, but not always, greater than the top ring. As piston rings continue to shrink, proper installation becomes exponentially more important to prevent damage to the ring. Providing a way to control the pressure between the first and second rings is the key to allowing both rings to seal the way they are designed to; because a little bit of ‘blow-by’ is inevitable, dealing with it is necessary. “Since the name of the game is keeping as much combustion pressure above the top ring as possible, keeping it seated is required for maximum power. By allowing the second ring to freely let any excessive compression gases keep going, the top ring stays seated. The gas simply goes past it, cools slightly, and enters through the oil drain backs into the bottom of the piston. Your PCV system should be doing its job at that point forward,” DiBlasi explains. Mistake #4 - Gapping gaffes.DiBlasi breaks this down even farther, saying, “This is going to be a boring process with a lot of filing, counting, placing in the bore, measuring, and repeating.” It’s easy to get lazy or careless, but working cautiously and paying attention during this process is critical.